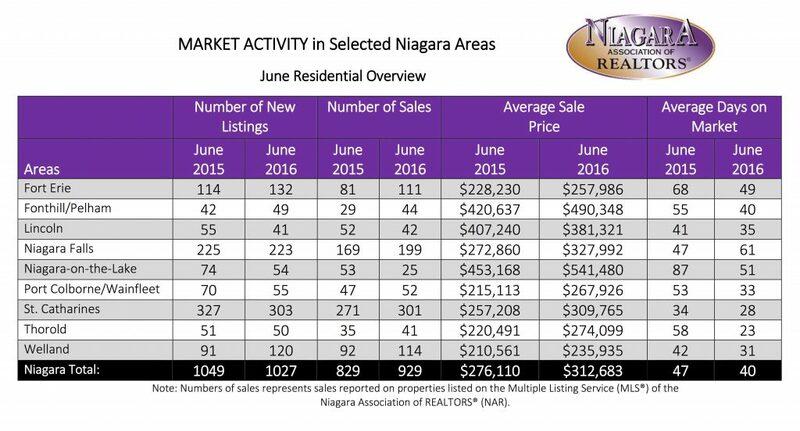 Listing Service (MLS®) system in June. This represents a 13.1% increase in sales over June of last year. The residential average sale price of $312,683 was 13.2% higher than last June. The average days on market decreased from 47 to 40 in the residential freehold market and increased from 79 to 114 in the condominium market. Please refer to this chart below for residential market activity in select areas in NAR’s jurisdiction.